Mini Dental Implants, also known as small diameter implants, are an innovative new procedure. The field of dental science has advanced so dramatically recently that patients are now able to undergo restoration treatments that utilize the latest in dental technology. Mini dental implants are just one procedure that offers patients an alternative to more traditional tooth replacement options. Mini dental implants are quickly gaining popularity across the country because they provide immense advantages to patients—both during and after the implant treatment. The mini dental implant procedure is quick and virtually painless, and can often be completed in a single visit. Traditional implants, while offering patients the same stable, long-lasting results as MDIs, require a longer healing time and are significantly more expensive. In addition to helping with damaged, broken or missing teeth, mini dental implants can also help those who are currently relying on removable dentures for tooth replacement. Removable dentures often become loose and ill-fitting over time, which can lead to irritation and frustration. 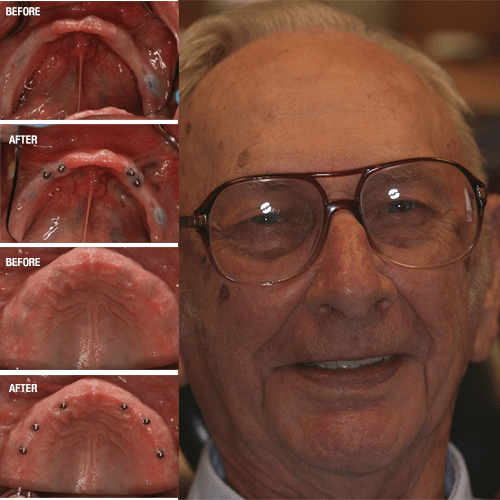 Undergoing the treatment for mini dental implants can anchor dentures, offering patients the ability to eat and speak with ease while effectively eliminating any irritation. Visit Crane Family Dentistry today and see the difference with mini dental implants.